Mimmi, the glitter unicorn - Published! Our story about Mimmi and Lilli is finally published ! The story is based on an idea by Niki. There was also help from Niki and Jazmin in drawing the characters. It was such a great feeling to see how our story is getting enriched day by day with a new character or a new screen. It was giving such a huge motivation to see the enthusiasm of the girls to bring the story alive! Hope you will also enjoy our story as much as we enjoyed creating it! Get your copy as an iBook or order your paperback from amazon. In the search after Mimmi”s glitter they went to the mermaids and asked for advice. "Go to find the Big Shell, she will show you the way. ", said one of the mermaids. ….One day though Lilly couldn't find Mimmy anymore. Mimmi disappeared. Lilli was worried about Mimmi and she decided to go to search for her. Once upon a time there was a fairy, called Lilly. She lived a happy life in the middle of the Magic Forest. Niki and Jazmin’s own stories has been published as paperback on Amazon under the title: Christmas Stories. In this book you can find two Christmas stories written by Niki & Jazmin - with a little help from Mommy. The first story: The Little Pine Tree was written by Niki (8). 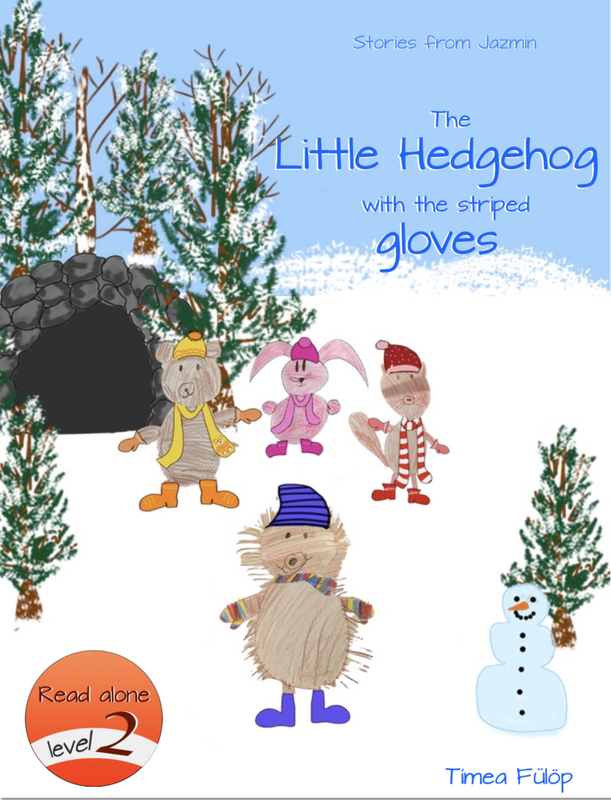 You will learn how the Little Pine Tree - who was always sad - have found a new home.The second story: The Little Hedgehog with the striped gloves is written by Jazmin (8). This is a lovely Christmas story about friendship. This book is suitable for early readers. The book also includes a quiz in the end of each story and an alphabet soup challenge. Good luck and enjoy reading! We hope you will like Niki & Jazmin's stories! We are very excited to share with all of you, that Jazmin's new story has been published now also in English for iBook! In this book you can find a new story from the Niki & Jazmin series about the Little Hedgehog with the striped hand gloves. We hope you like Jazmin's new book. We are very excited to share with all of you, that Niki’s first story: The Little Pine Tree has been published now also in English for iBook! 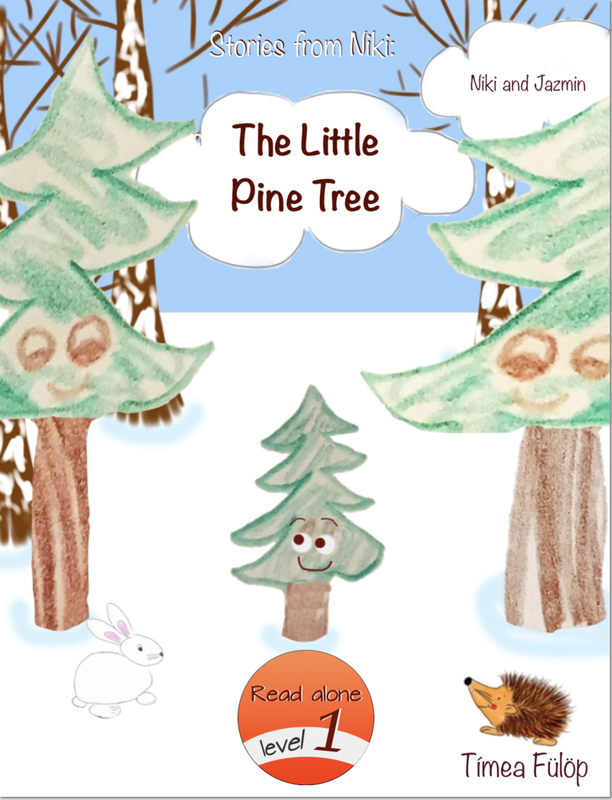 In this book you can find a new story from the Niki & Jazmin series about the Little Pine Tree. This is a special story, as it was written by Niki – with a little help from Mommy. This boos is suitable for early readers. The book also includes a quiz in the end and an alphabet soup challenge. We hope you like Niki’s first book.